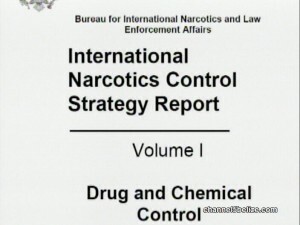 The US State Department has released its 2018 International Narcotics Control Strategy Report - and Belize is designated as one of 22 major Illicit Drug Producing and Major Drug-Transit Countries, along with all other Central American Nations - and three Caribbean nations. Belize is also designated as a Major Money Laundering Country - in a very long list of those. 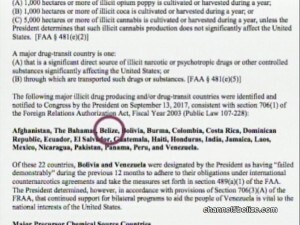 The report finds, quote, "Belize is a transit country for illicit drugs destined for the United States from source countries in South America. Belize is susceptible to the transshipment of illegal drugs due to its position along the Central American isthmus, relatively uninhabited terrain, and the hundreds of cayes off its coast….Belize is bordered by countries where the drug trade is controlled by well-organized and violent drug trafficking organizations. 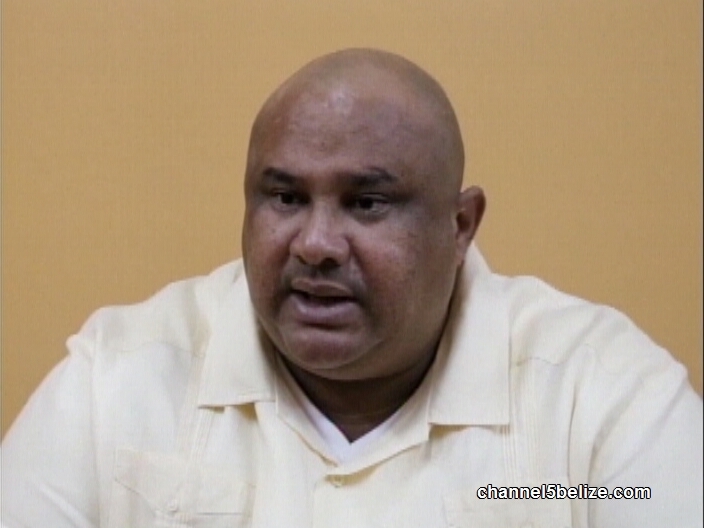 A concerted effort by those organizations to establish themselves in Belize would present serious challenges to the country's law enforcement and justice institutions." 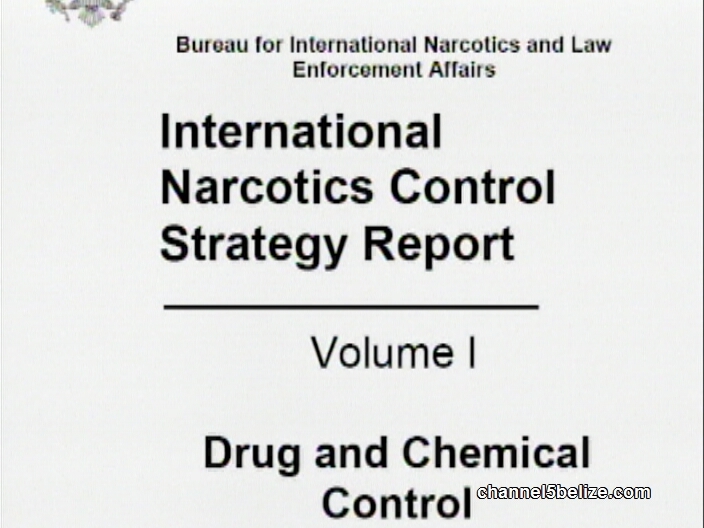 The report adds, quote, "Belize's drug control efforts are hampered by the same challenges faced by the rest of the country's security sector - corruption, insufficient investigative capacity, an ineffective judicial sector, and a lack of political will." It concludes, quote, "The United States encourages Belize to strengthen its public security and law enforcement institutions through more effective anti-corruption legislation, comprehensive background checks and vetting of new and existing personnel, enhanced training, and continuing education programs." 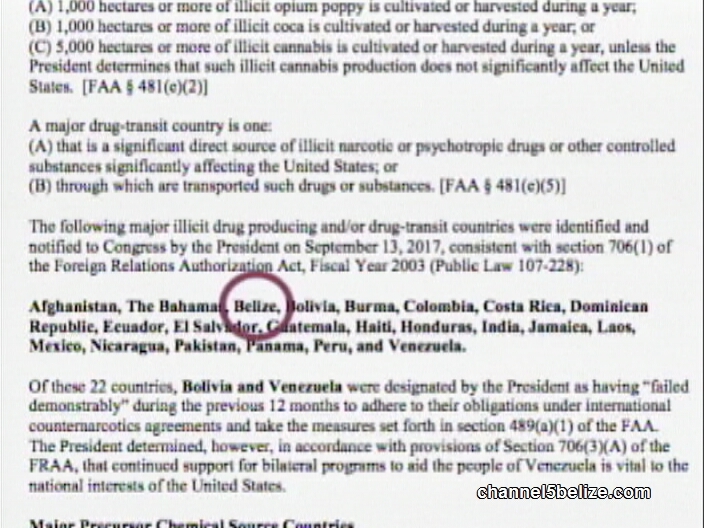 Belize has been designated for the third year by the United States as a major transshipment point for the trafficking of drugs to North America. Other countries within Central America and the Caribbean have also been named under that description. 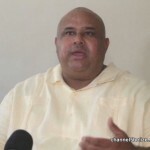 But is the recent report issued by the U.S. Department of State credible, since Belize was never consulted prior to gathering information that has since been published? 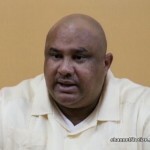 According to Attorney General Michael Peyrefitte, data contained within the International Narcotics Control Strategy Report is perhaps unreliable given the U.S. government’s failure to collaborate with local authorities in putting together its assessment. 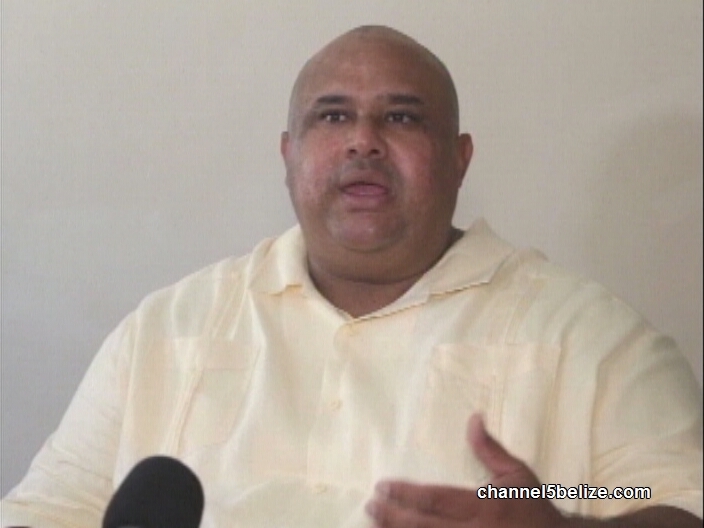 While the report states that Belize’s attempts at mitigating the flow of drugs through the country are stymied by various challenges, the AG says that the U.S. should provide more information to local officials in order to arrest narco-trafficking activities.